A version of Mindjammer for the Traveller game. It means you can use all the material from Mindjammer with the Traveller system. 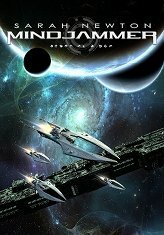 Mindjammer Traveller is a supplement for the Mongoose Traveller system and aims to use the upcoming new edition of the Mongoose Traveller rules. details of the hyperadvanced technologies of the New Commonality of Humankind.